Find Out Why Our Service is Award Winning! Texas Premier Mortgage offers purchase, refinance, and home equity loans in Houston and the surrounding areas. Our goal is to provide you the best rates, lowest fees, combined with our award winning service. We offer conventional, FHA, VA, Jumbo and USDA mortgage loans. Our group of experts will help you decide which mortgage loan fits your needs and exceed your expectations. As a mortgage broker we have access to the best and newest programs on the market. We are dedicated to you, the community and your transaction. We will work closely with you and everyone involved ensuring a smooth, timely closing. We have over 100 years of knowledge and local experience in the mortgage industry. Our customer service is Award Winning and Proven. Nine out of ten of our closed clients would recommend us to a friend or family member. Our Mortgage Experts are available 7 days a week to assist in answering your questions and issuing loan approvals. Our Mortgage Experts are local, right in your real estate agent's office, in your neighborhood and you can always come see us in person. We would love the opportunity to help you on your next purchase loan. As a mortgage broker we will approve, close and fund your home purchase. We will review all types of credit from perfect to average for FHA, VA, USDA, Jumbo, and Conventional loans for primary, vacation, second, and investment properties. Our loan process can close you in as little as 14 days with our team of experts working with you. We strive to develop relationships and life long clients. Our team is hands on and you'll love the process! We have the perfect option whether your looking to pay off your debt, cash back, or even do some of those home improvements. We offer first lien Texas home equity on your primary, second, or investment properties. Texas Premier Mortgage has the right options for you! We will explore the different options to ensure your equity is maximized to your benefit. Explore a customized loan quote with us today. We serve Houston, The Woodlands, Spring, Conroe, Magnolia, Montgomery, Tomball, and all surrounding areas. Call us today to work with a local expert. Texas Premier Mortgage has a variety of products to help reduce your payment or term. We also offer a variety of terms from 30, 25, 20, 15 if you're wanting to pay your house of early. Products for credit include FHA, VA, USDA, and Jumbo loans. Conventional loans are also available for your lending needs. Our staff will help you pick the right product for your credit profile. We will offer a variety of ideas to help you accomplish your goals. We have the most experienced team in the industry waiting to help you accomplish your goals. Come talk to the best mortgage lender in Texas! Find out what makes us the top choice in home loans! Get your free and secure quotes for Texas home loans from the #1 rated mortgage company in Texas. That's right zero lender fees for our clients! If you're looking for a low down payment option at 3.5% with no lender fees check out our fha loan. 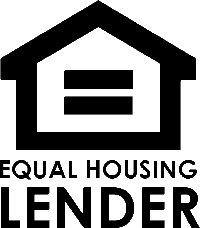 This loan option is perfect for a 1st time home buyer or someone with less than perfect credit. Let us help you see if this is a good fit for you. Our fha loan provides great rates with low fees making it one of our best loan products. Combined with our excellent customer service this loan is the best in the city of Houston! Texas Premier Mortgage is your #1 Mortgage Lender in the The Woodlands, TX! Getting the best mortgage or home loan rate can save you thousands over the course of your loan. We combine that with exceptional customer service and a local touch of personalized attention. We're a local lender offer you upfront communication and our promise to get you the best loans available. Texas Premier Mortgage has been nominated as the Best Houston Mortgage Lender for Houston home loans. We are a top choice in Texas offering Purchase, Refinance, and Home Equity Mortgage Loans. Our goal is to get you the best rates & lowest fees! As the #1 Mortgage Broker in Houston we have access to the lowest rates and fees saving our clients thousands! Check Out Our Award Winning Service! Amazing Experience with Texas Premier Mortgage! The staff is responsive and helpful. The entire process was well organized and seamless. I will highly recommend to my friends and family. Extremely professional, friendly, high quality service. Very happy to go through them to finance my house. This is the best mortgage lender I have worked with buying my 3rd home. The Texas Premier Mortgage team was great to work with and very helpful! If you want to be treated respectfully and receive the individual service you deserve then look no further. Steve Head, Cynthia, Christy, and the rest of the Texas Premier Team are top notch. Steve made the process so easy. He truly knows the business and is there every step of the way. His character and integrity shine in every aspect from beginning to end. Thank you, Steve!!! They were so easy to communicate with and were readily available for questions. They provided consistent and accurate updates regarding the process and provided so much support and education for us. I would highly recommend them to anyone! Kevin Hunter is truly amazing. We bought our house back in August. We switched lenders mid closing and he did seriously everything in his power to get us closing on time. This was our first time buying a home and he was there every step of the way and he still is. He handles all my questions promptly. I have used Steve Head at Texas Premier Mortgage The Woodlands for my clients and have used for myself in the past. Excellent service, excellent communication, and excellent home lending products from FHA , Conventional , Refinance , Condo , Investments and more! Highly Recommend. A big plus is they are local and know the local market.